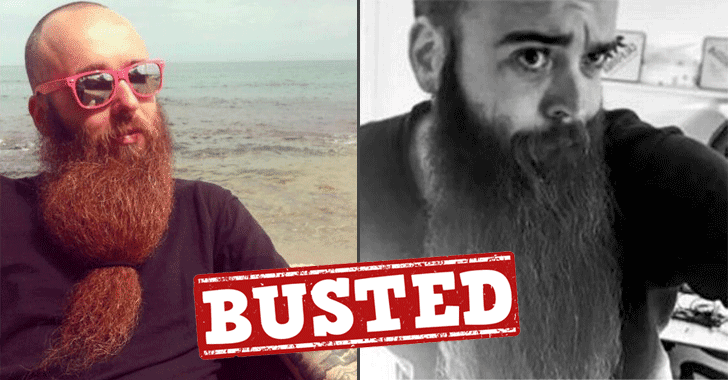 United States authorities arrested suspected dark web drug kingpin late last month while he was travelling from his base in France to the United States of America for this year’s annual World Beard and Mustache Championships. Gal Vallerius, a 38-year-old French national, was travelling to Austin, Texas, for the competition but was caught by U.S. authorities on August 31 upon landing at Atlanta International Airport on a distribution complaint filed in Miami federal court, The Miami Herald reported Tuesday. Authorities confirmed Vallerius' identity to the online moniker "OxyMonster," which was previously used to sell drugs on an illegal underground dark web marketplace called Dream Market by searching his laptop that the brown-beard contestant carried with him. According to Drug Enforcement Administration (DEA) affidavit filed in September, Vallerius was an administrator, senior moderator and vendor on Dream Market, an eBay-type marketplace for illegal narcotics and drug paraphernalia. Vallerius was suspected of openly advertising and selling drugs including cocaine, LSD, methamphetamine, fentanyl and oxycodone, on Dream Market between May 2015 and August 2017. After searching his laptop, officials confirmed Vallerius' log-in credential for Dream Market and uncovered roughly $500,000 worth of bitcoins—the currency used to complete the transactions—and a PGP encryption key entitled OxyMonster. Vallerius' laptop also contained the Tor browser, which lets users hide their true internet protocol (IP) addresses, allowing them to operate anonymously on the network. According to the Miami Herald, the suspect is now expected to be transferred from Atlanta to Miami, where he will be facing a fresh conspiracy indictment that carries up to life in federal prison. U.S. authorities have been cracking down on dark web marketplaces. A few months back, Europol along with FBI, DEA (Drug Enforcement Agency) and Dutch National Police disrupted two major underground markets, AlphaBay and Hansa. Benefitted from the shutdown of its rivals, Dream Market had a total of 94,236 listings as of 29 August 2017. Now, if Vallerius is found admin of the platform, his arrest could bring an end to Dream Market as well.